Young Jordan Spieth capped off a second consecutive runaway victory with a six-under 66 on Sunday to win the Hero World Challenge by a massive 10 strokes at Isleworth. 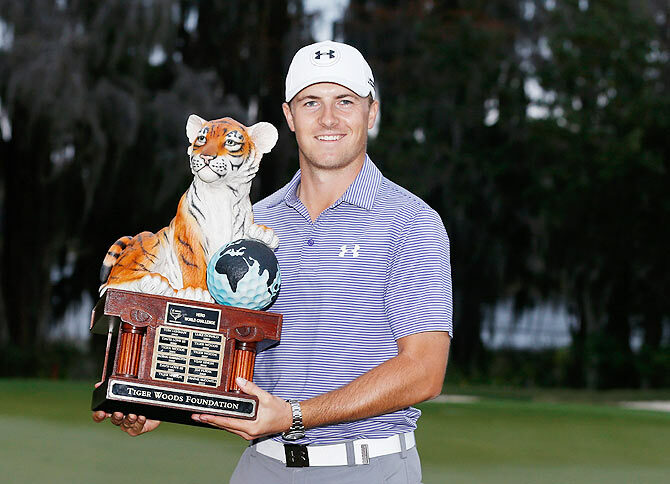 The 21-year-old Spieth, who closed with an eight-under 63 to win last week's Australian Open by six shots for his first win of the year, collected a $1 million prize and satisfied a goal by winning his second title of 2014. It was a bravura performance by the precocious Texan, who finished on 26-under-par 262 to shatter the tournament record of 22-under 266 set by host Tiger Woods in 2007. "I think last week was a big boost of confidence," said Spieth, who will move up to ninth in the world rankings from 11th. "I'm very, very pleased with the year and how it came to a close." 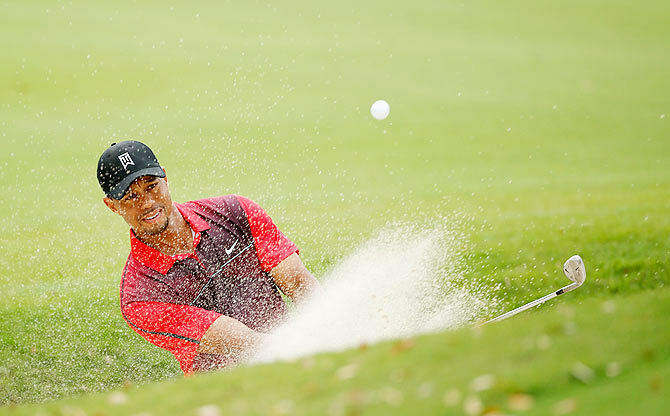 Woods, meanwhile, failed on his modest goal of escaping last place in the 18-man event when he suffered another embarrassing chipping display, taking a triple-bogey at the par-five 13th. He posted a 72 for even-par 288 to tie Hunter Mahan for bottom of the table, but later pronounced his return to competition after a long absence from back injuries as an overall success. "I made some progress," said Woods, who is also working on a swing change. "I hadn't played in four months and I'm in absolutely no pain, which is nice. "To be able to go all out on some of these drives like I did this week really enforces that what I'm doing is the right thing for my body." 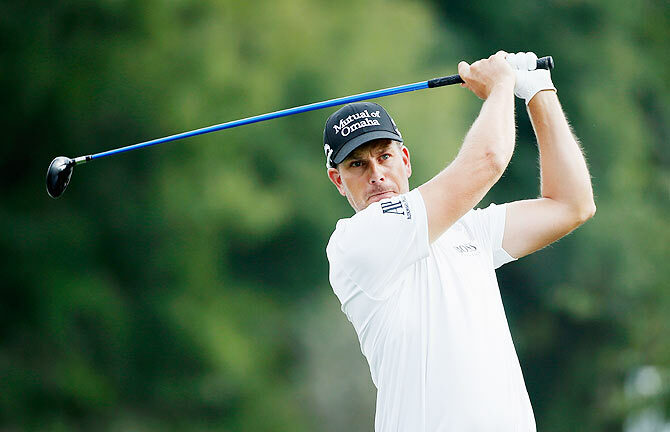 Henrik Stenson of Sweden finished a distant second, 10 shots behind Spieth after shooting a 69 for 272. Another shot back were Patrick Reed and fellow American Keegan Bradley, who exchanged his belly putter for a conventional one this week ahead of the 2016 ban on anchored putters. The brilliant Spieth ended a stretch of 43 holes without a bogey with a double bogey at the par-four 14th, the only blemish on a card that featured six birdies and an eagle. "This is the best that I've played in my life," said Spieth, who won a college tournament at Isleworth three years ago by eight strokes. "And I got to say the same thing last week in a media tent in Australia."